With his fleet all lined up and ready for action, his mind is set, first and foremost, on getting his trucks out on the road. So big ups to him for taking time out to talk to Deals on Wheels. Jackson Transport’s core business is carting offal from meat works throughout the North Island for further processing. 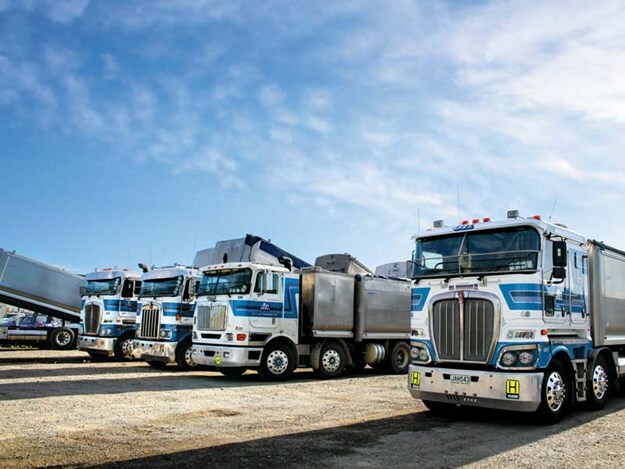 They run a fleet of 15 trucks from their Napier depot and 15 from Hawera in Taranaki. Jacko started the company in 1995 and in 2010 sold it to Smith Bros Trading Ltd to invest in properties but remains on as regional manager. 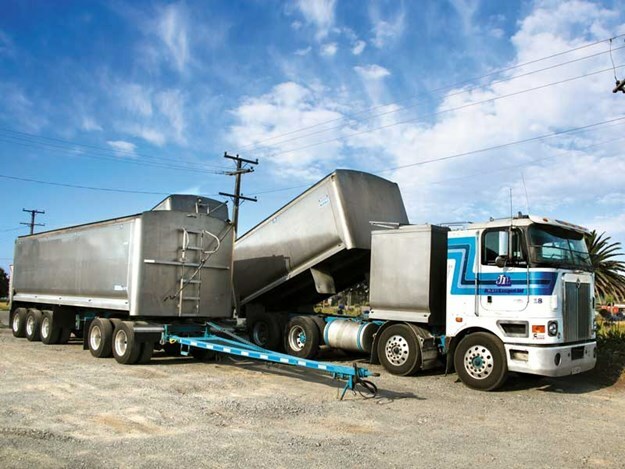 "We’re probably the biggest rendering cartage contractors in New Zealand. We cart by-products from all the freezing works back to the rendering plant owned by our umbrella company, plus fertiliser and bark products," he says. 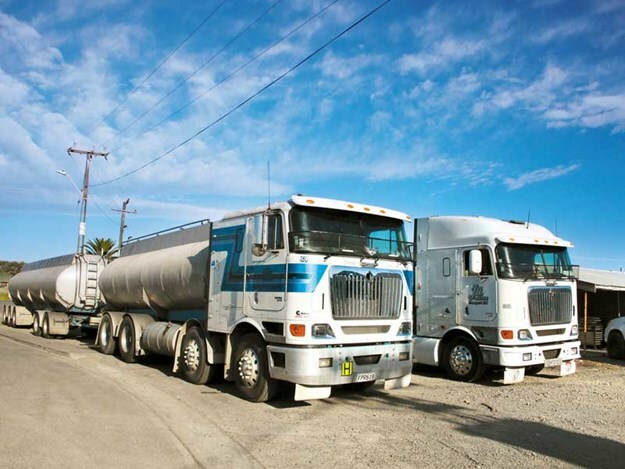 Jacko began truck driving in the late 1960s with McKinney’s Transport in Napier, before becoming an owner-driver for Direct Transport through the 1980s to 1990s, followed by a stint with Chapple Carriers before forming Jackson Transport. 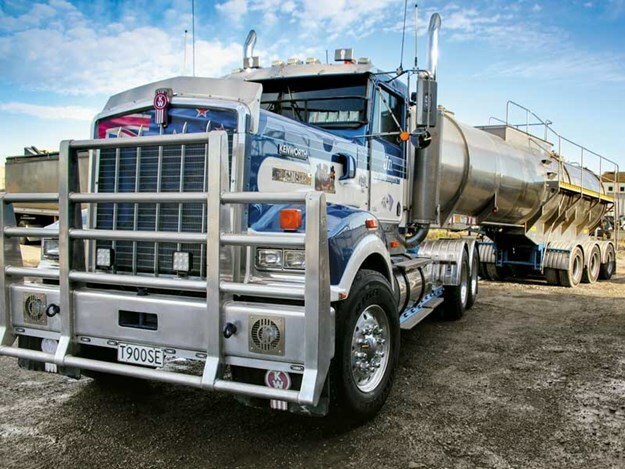 Jacko’s truck, a 1993 Kenworth T900, known as The Gambler, is an eye-catching rig. "I bought it around six years ago. It was an ex-logger and I spent a few dollars getting it up to scratch. It’s a great truck and yes, it was known as The Gambler when I got it. I don’t like changing a truck’s name and I also never put a new truck on the road on a Friday: I’m a bit superstitious like that." Jacko’s run is carting tallow locally from Hawke’s Bay Protein to the Port of Napier. 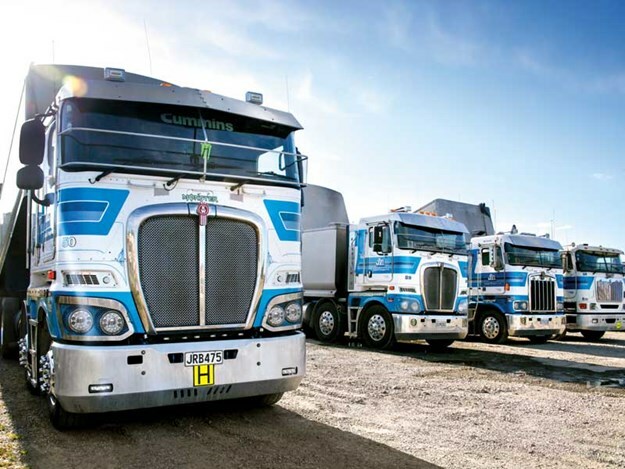 Jacko says apart from Internationals and a DAF, most of the fleet is Kenworth. He likes the KWs "because they keep their resale value and there’s ready availability of parts. Our latest is a 2016 KW (Fleet #50) and our oldest (Fleet #4) is a 2005. It’s still in great condition." Regular servicing of the fleet is done at Eastern Trucks and Truck Stops. Jacko is a stickler for it. "Keeping up with maintenance is a big thing: you can’t not do it. We’ve got trucks with 1.3 million kilometres on them and the mechanics say they are still good because they are regularly serviced. I’m proud of our fleet and our drivers are, too. I let them get a bit of cosmetic stuff on them because it keeps them happy. They have pride in their rig and job if you let them have a bit of bling." The trailers are mainly all bulk, four- and five-axle, with aluminium trailers. "We run a variety of 44, 46, and 50 tonners." Trailers are built through Transfleet. "Hygiene is the big thing with these trailers. We have very experienced drivers who work with by-products every day; they ensure it doesn’t spill out and they check that the air seals are up to scratch. We hot wash everything out at the end of each day for the next day. We have 20 drivers, including un-loaders at night, so it enables drivers to hop in their trucks in the morning and come back to the yard for unloading. We have four un-loaders during the day and two at night. It’s the only way to do it and keeps everything nice and tidy." 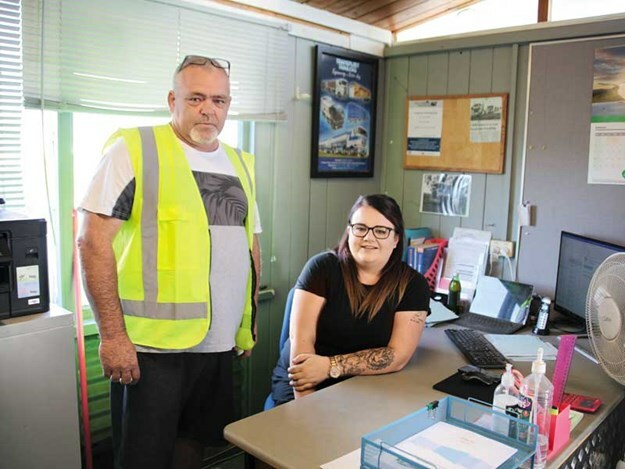 Jason Pollock and Lyneice Saunders are in charge of the office—Jason as transport manager and Lyneice as the assistant regional manager. "Once the guys go out on their runs, we focus on all the paperwork and generally keep things ticking along. The majority of our guys have a set run, mostly all line haul, with the odd run being local. "We try and rotate drivers as much as we can to change it up for them, whether they are on night or day shift. It’s nice to have a break and go to different places. Shift work is hard on your body and fatigue is a big factor in safety so we make sure they are well rested," says Lyneice. She is one of the only three women among the men who work at Jacksons. 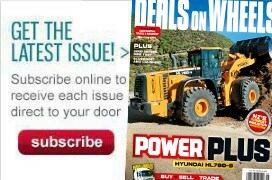 One is a driver and another an unloader. "I add the feminine touch," she laughs, and as I look around her desk, I see pink accessories here and there. She even has a pink can of Glade air freshener to make things smell sweet. 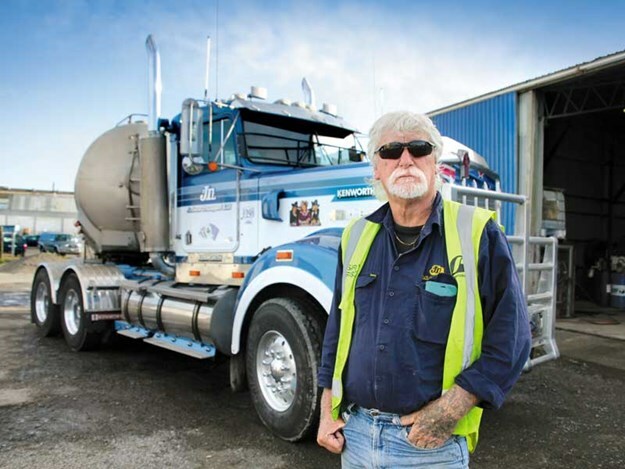 Jacko says he’s keen to employ more women as truck drivers. "I am trying to get more women into the industry because I think that’s a good direction for the future. Lots of other companies are doing this, too. We find them extremely good and having women in there among the guys changes the culture a bit, too." Both Lyneice and Jason speak highly of Jacko. "He would be one of best bosses I’ve ever had," says Jason. "His bottom line is the drivers and the office people: he looks after us. That’s why we’ve got guys who will never leave. "They’re either here until they retire or die. There are a number of people who have been here forever. They are very loyal to Jacko." Lyneice adds, "You couldn’t ask for a better boss. He’d give you the shirt off his back." It’s been a busy season at the meatworks this year, which has made the crew at Jacksons even busier. "At the height of the season, we get up to 90–100 tonnes a day of by-products and on top of that we get up to 20 tonnes of blood taken out every day, which is from one plant alone," says Jason. "We have two blood tankers—one a B-Train and the other a truck and trailer unit. They take all the blood from six meat works every day. The B-Train runs to Wellington every day. It’s got to be fresh. These guys have to be on ball; time management is crucial." Lyneice says, "You’d be surprised how much of the animal is processed: tallow, rendering, hides, fleshings, and the blood. Nothing is wasted." As the year progresses, they might slow down a little but don’t have a break. "Last season was a bit quieter; times like this allows us to get our trucks looked over and make sure the guys have had a decent break as well. But we still have fertiliser and compost to cart as well, so our trucks keep rolling all year long."